Install dimmers – Installing dimmers on your home’s general lighting can be a very effective way to cut down on your energy use. You rarely need all of the light that a general light fixture provides, especially in the bedroom or dining room areas, where less light can actually help improve the atmosphere. Dimmers allow you to control the amount of light being produced, which lets you use less electricity as a result. Install motion sensors – Motion sensor lights are extremely effective during the night, especially above your garage. They only turn on if they detect motion, such as if someone walks by or drives up. This means that you won’t be wasting energy lighting an area that’s not being used. Use power strips – You may take care to turn off electrical devices and appliances when you’re not using them, but did you know that they will continue to absorb energy as long as they are plugged in? This is often referred to as “vampire power.” According to the U.S. Department of Energy, around 75 percent of the electrical use by electronic devices occurs while they are turned off but remain plugged in. Power strips will cut off the flow of electricity once you turn them off. You can also use smart strips, which will automatically cut off power to any device plugged in that’s been turned off. Replace old lights with LEDs – LEDs are not as expensive as they once were and you’ll reduce the amount of electricity you use significantly since they use 90 percent less energy than incandescent bulbs. Not only will you save money on energy costs long-term, but LEDs last a lot longer as well. Use outdoor solar lights – If you have a lot of outdoor lights installed on your property, such as path lights by your sidewalk, you should consider using solar lights instead. Outdoor solar lights will absorb the sun’s energy during the day, allowing them to run for free at night. Lower your water heater’s temperature – The water heater uses a lot of electricity to keep your water hot. However, it’s often set at a temperature much higher than it needs to be. You can lower it to 120 degrees Fahrenheit and still receive properly heated water. Use these energy saving tips around the house in order to cut down on your expensive electricity bills. If you have any issues with your home’s electricity and are located in the Houston, TX area, then be sure to contact us online at Aaron’s Electrical Services in Houston to request a free quote today. Why Does My Outlet Spark? Normal sparks – The way your home is powered is through the electricity that runs through the home’s circuits and back to the main grid. When something is plugged into an outlet, some of that power is diverted to that outlet for use. This quick draw on power can cause a small spark. However, this should only occur once — after the electrons begin flowing freely again, there shouldn’t be additional sparks. You shouldn’t worry about such a spark. Short circuit – A short circuit happens when too much heat builds up within an outlet, thereby causing the insulation around the wires to melt. Once the wires are exposed, the chance of an electrical fire breaking out increases when that outlet is used. Basically, what happens is that the electrons will leap to the wrong area and cause a big spark. You should be able to notice the issue due to the size of the spark as well as the heat generated by the outlet. Old outlets – It’s worth noting that older outlets are more vulnerable to short circuits since outlets tend to wear out over age and connections will loosen. Exposure to water – If the outlet is exposed to water, it can result in a spark and a short. This can be quite dangerous. However, if you have GCFI (ground fault circuit interrupter) outlets, then you should be safe from a potential electrical fire or from electrocution. This is because a GCFI outlet will identify the short and shut down the circuit immediately to prevent a safety hazard. GCFI outlets are pretty common these days, especially in bathrooms and kitchens. Bad outlet repairs – It’s important that if a sparking outlet is inspected and repaired, it’s done so by someone that is experienced and properly trained. Attempting to repair a sparking outlet yourself is generally not a good idea since you can actually make it worse, thereby causing bigger sparks and increasing the risk of an electrical fire. These are some of the reasons why your outlet may be sparking. Although smaller sparks may be normal if they only happen right when you plug something in, any other type of spark you see should be addressed. If you’re having problems with one of your outlets, then make sure that you have it inspected by a professional electrical contractor. If you’re in the Houston, TX area and looking to schedule an outlet inspection or repair service, be sure to call us at (832)702-4263 or visit us online at Aaron’s Electrical Services for a free estimate. Even though everybody knows how dependent they are on their home’s electricity (without it, there’s no air conditioning, no central heating, no hot water, no TV, etc. ), yet few people know how their electricity works. In fact, odds are most people take it for granted, which means they don’t realize how dangerous the use of electricity would be if it weren’t for circuit breakers. So what exactly is a circuit breaker and how does it work? Your home’s circuit breaker is basically the main distribution point for the electrical circuits inside of your home. Power is sent to your home via electrical lines by your power company. The power flows through the electrical meter, which records how much electricity you are using and then into the circuit breaker panel. The circuit breaker consists of a number of different parts. Near the top of the circuit breaker are two lugs. The lugs are terminals that connect to the service entrance wires. All of the wiring in the circuit breaker, as well as the lugs, are covered by the dead front cover, which is what you see when you open the circuit breaker panel door. When you open the door, you’ll see two rows of breakers. These breakers control the flow of electricity to different zones in your house. The breakers usually control two sizes, the 15- and 2- amp circuits (which supply regular lighting and outlet circuits as well as supply outlets throughout the home) and larger breakers that control the 30-,40-, and 50-amp circuits that supply appliances like dryers and electric stoves. Either above or below these rows is the main breaker, which controls the power to all of the other breakers. When you switch the main breaker off, you’ll turn off all of the circuits in your home at once. What Do Circuit Breakers Do? The circuit breaker is basically a safety device that helps to prevent short circuits and overloads, which can result in electrical fires. It works automatically, although it can be operated manually. If the circuit breaker detects a fault, it will interrupt the flow of the electrical current from the utility lines to your home’s circuits. This means that if too many appliances and devices are plugged into a particular circuit, the breaker for that particular circuit will trip, shutting down the power to that area without affecting the rest of the house. When your breaker trips, you’ll be able to manually reset it by flipping the breaker switch on the circuit breaker. Basically, it’s an incredibly important safety feature that allows you to use electricity throughout your home in a safe manner. The circuit breaker is essential to the safe use of electricity throughout your home. If you are having problems with your circuit breaker or with any of your home’s outlets, then be sure to contact us at Aaron’s Electrical Services to schedule an appointment online or call us at (832) 702-4263 request a free estimate today! Babies and toddlers are curious. They will investigate virtually anything if left unattended to. That is why parents should spend many hours painstakingly baby proofing the house. One of the many ways a baby can harm himself or herself is by poking things into the electrical outlets. Since we can’t do away with power outlets, the safest thing to do would be baby proofing electrical outlets in the house. If you are living in an old house that has never been renovated, chances are that your wall outlets use a receptacle that isn’t tamper resistant. Tamper resistant receptacles (TRRs) have a spring loaded shutter that close off the power outlet openings. The only time they will open is when they are depressed simultaneously. The chances of your baby doing this with any toy are very low. This should also apply to your power strips and extension cord outlets. While TRR makes the outlets safer, you can make them baby proof by purchasing outlet plugs. These are plastic caps that tightly fit into your wall or power strips outlets and completely seal them off. Your baby can’t access the outlet without removing this cap which isn’t that easy to uninstall with tiny hands. You will have to remember installing the caps once you are done using a power outlet and are about to leave a room. The next problem would be ensuring that the baby doesn’t tag on, chew or play with loaded power cables. The simplest solution would be keeping power cables out of the way. Ensure any permanent or semi-permanent wiring is carefully stashed out of the way using cable conduits or just call professionals to put it into the wall. This is not only neat but also keeps the cable out of the baby’s reach. In cases where your power cables must interface with accessible wall outlets, invest in a baby safety electrical outlet cover. This is a tough plastic cover that encloses the plugged in cables and the socket hence making it hard for the baby to pull out the plugs. You should also get child proof power strip covers. The best way to baby proof your electrical outlets is by ensuring that they are as inaccessible to the little one. If possible, change your behavior and adapt to use select few outlets that are hard to reach and cover the rest. For instance, keep power strips out of the baby’s way by placing them on high spots instead of leaving them lying on the ground. Your baby cannot mess with electricity if he or she can’t reach the few active power outlets. If you have any questions on baby proofing your electrical outlets or would like a professional electrician near Houston, TX to do it for you, be sure to contact us online or give us a call at (832)702-4263 to schedule an appointment with Aaron’s Electrical Services. As the holidays approach, you’ll be cooking more, decorating more, and entertaining more. Your home electrical system feels the strain. Be sure that your devices and decor are in good working order, and that you have safe power for heating, lights, and holiday fun. Aaron’s Electrical Services in Houston recommends taking a moment for fall and winter electrical maintenance to be safe and comfy. After the holidays are over, it’s difficult to muster the interest in carefully packing away all the decorations. Other than breakable ornaments, the rest gets stuffed into a box and thrown in the garage. Take a good look at string lights and plug-in decorative objects. Check the cord and prongs for damage, and be wary of daisy-chaining extension cord or overloading an outlet. In Houston, small heating appliances may be all you need to stay toasty over the holidays. Since you haven’t used these in a year, test them now so you’ll know if they need replacement. Check for damage and turn them on to see if they work normally without any burning smell. Loose, cracked, or hot-to-the-touch wall outlets should be replaced before someone or something gets hurt. If your home has jumbles of extension cords and power strips, you probably don’t have enough outlets. Ask a Houston electrician to add a circuit or install additional wall outlets to get the power supply you need for all those new gadgets and decorations. Yard lights and wall sconces outdoors can get dirty and cluttered with leaves. This can cause overheating and fire hazards, so try to keep these clean. You may have heard to bring solar landscape lights indoors for winter. This only matters if we get freezing temperatures, so feel free to leave them out unless the Houston forecast looks especially chilly. Always maintain smoke and carbon monoxide detectors at the change of seasons. Too many house fires and electrical injuries occur while people are entertaining family or cooking for the holidays. Consider upgrading to a hardwired smoke detector instead of the simple battery-powered kind. Take Care of Electrical Wiring Issues Sooner than Later! Have you been living with flickering lights? Does a circuit breaker trip whenever you plug in just one more small appliance in the kitchen or living room? These aren’t just annoyances. You could have overloaded circuits or frayed wiring. People tend to use more energy over the holiday season, increasing the risk of shock, fire, or appliance damage. Our Houston electricians provide same-day service with affordable rates, so you can get those electrical repair in time before the guests arrive. Call Aaron’s Electrical Services or contact us to request a safety inspection or electrical repairs in Houston, TX. Home electrical options are constantly evolving and simplifying everyday tasks for homeowners. At the same time, many of these emerging technologies help conserve energy. From home automation to convenient outlets, these are some of the latest trends in home electricity. Home Automation — This is the year of the “smart home.” While home automation isn’t entirely new, it is now going mainstream. From turning off lights directly from your smartphone to remotely monitoring your front door, there are systems available to help control and secure your home from a wireless device. Even better yet, you can install and implement most of these systems by yourself. However, you do have to have electricity wired in proper places to take full advantage of many home automation programs. USB Outlets — Outlets with USB ports are becoming increasingly popular. Nearly everyone has a phone or tablet, and these useful outlets negate the need for an adapter when charging these devices. Free outlets can be hard to find in convenient places. So, instead of unplugging the coffee maker or table lamp to charge your smartphone, simply plug it into the USB port. The lights remain on, coffee can be brewed, and your device remains fully charged. Outlets in Outside Eaves — Hinge-covered outdoor outlets under the edge of your roof make the holidays a breeze. Instead of running unsightly extension cords down the side of your home, these GFCI-protected and waterproof covered outlets allow you to conveniently plug in holiday lights. These outlets can be controlled by an installed switch, which makes turning your Christmas lights on and off even easier. Recessed Outlets — Rather than sitting flush with the wall like normal outlets, recessed outlets have a faceplate that sits deeper in the wall. These handy outlets allow furniture to be pushed fully back, without the burden of protruding cords. They are also great for wall-mounted televisions and in small bathrooms where space is key. Outlets Above the Fireplace Mantle — Take the previous trend and push it even further. Install a recessed outlet above your fireplace mantle for a flat-screen television. The end result will be clean and clutter-free. Hidden Outlets — Electrical outlets are a necessity, but they certainly don’t add aesthetic value to your home. Luckily, there are now outlets that blend in with tile or pop up out of countertops. Hidden outlets can be placed in kitchen drawers or in storage closets to charge unsightly household items out of view. Closet Lighting — As closets grow in size and organizational options become seemingly endless, a single overhead light is quite often not enough. Ceiling track lighting and under-shelf lighting ensures that your entire wardrobe remains in clear view. Wall-Mounted Bedside Lights — Instead of relying on basic table lamps, wall-mounted bedside lamps are becoming the preferable option. They are hardwired to your wall, freeing up your nightstand and giving your bedroom a much cleaner, cord-free look. As with all home-improvement trends, home electrical trends are constantly changing and becoming more sophisticated. These are just some of the modern electrical options to keep in mind when building or updating your home. The hurricane season is always a difficult time of the year. Being aptly prepared goes a long way in ensuring that you and your family get through a hurricane safely. Hurricane preparedness involves a checklist of many items such as having enough food, medical kits and a solid evacuation plan. This article focuses on how you can keep your electrical appliances safe and maximize their utility while also observing your personal safety. Get a surge protector. 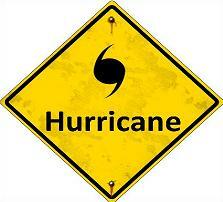 Hurricanes are likely to damage electrical power lines and affect the quality of electricity distribution. Therefore, you should ensure that your valuable electrical appliances are safe by shielding them with a surge protector. Turn off major appliances. Damaged power lines might cause your house to experience irregular power supply. This fluctuating power could harm your electrical appliances, especially the motorized ones, such as ceiling fans. Therefore, it’s best to unplug and switch off all the main electrical appliances that you might want to preserve. Pre-cool your house. It’s likely that you are going to have to shut down your air conditioning to protect it from damage. Worse, you might experience a prolonged power outage. To prepare for such an occurrence, you should adjust the thermostat down a few degrees before you are forced to stop using the air conditioner. This ensures that your house is cooler than usual. If it’s well-insulated, your cooler house will take longer to heat up. Check your circuit breaker in case of a power outage. In the case that you lose power, before calling the power company, you should ensure that the fault is not in your house. Check and see if your neighbors still have power. Also, check if you have tripped a circuit breaker. Be sure to turn off any electrical appliances before you reset the circuit breaker so that you protect the appliances in case there is a serious problem with the wiring — such as a short circuit. Call an electrician in the event of flooding. If your house experienced flooding as a result of the hurricane, you should contact a qualified electrician to inspect your electrical system before turning the power back on. This is because you might have a short circuit in your system due to the water. You should also have any appliances that might have had contact with water checked for any damage before plugging them back in. Keep a flashlight and battery-powered radio in your house. In the case of a power outage, it might take days for the power company to fix the many faults caused by the storm. Having a flashlight ensures that you have light, and the battery-powered radio keeps you informed. A radio is better than your phone since its charge is more durable. Also, ensure that you have extra batteries in the house. If an electrical system were to be compared to the body’s circulatory system, then the electrical panel would take the role of the heart, transmitting electricity throughout the home or office just as the heart circulates blood. This important organ is located inside the breaker, which in many homes is located in the basement, utility room or garage. The electrical panel appears like rows of switches whose function is to dole out power to smaller outlet lines. Just as a heart is prone to attacks by diseases causing it to fail, so is an electrical panel likely to develop issues that reduce its efficiency. Some symptoms of this ailm ent include flickering lights and outlets failing to handle more than one electrical appliance. At this state, the electrical panels often trip breakers or fail to do so. The latter can cause wires to melt, smoke or fire. This needs to be prevented by calling an electrician in your area to get expert assistance. The process of upgrading an electrical panel is called a “heavy up.” In a system working overtime, the upgrades enhance its capacity to hold more energy. Once you have a heavy up, you will realize a number of benefits that will improve your electrical service. The most obvious is improved electrical performance. The previously experienced symptoms — dim lights, frequent flickering or trips of a breaker for no apparent reason — all cease. This confirms that the problem has been solved and constant energy is flowing throughout your home. In some countries, upgrading an electrical system is a legal necessity because older models do not work in accordance to the current statutes and codes. One might be forced to replace a panel if it uses fuses and other outdated equipment. Again, an older electrical panel poses a huge risk of overloading, hence limiting how much you can use it. It also could be a fire hazard, which is a danger to both your family and home. These hazards are eliminated as a heavy up increases the power levels of all the devices present in your residence. Having a heavy up electrical upgrade gives a homeowner more expanding options in case one wants to have extra rooms or just more circuits in the house. Any form of remodeling would require more energy while still being careful not to add excessive electrical loads to the system. It is the duty of the electrician you choose to inform you about the electrical needs that come with a heavy up. Electricians from Aaron’s Electrical Services are trained and certified to give helpful options that are only best for you in achieving a safer and more efficient system. Upgrading an electrical system is fundamental in saving future costs that would be incurred in repairing a broken electrical system or the damage that would have occurred in case of a fire caused by overloading. More importantly, it increases your home’s resale value. A broken or old electrical panel may scare away potential buyers when they consider the cost that comes with replacing it. When most electrical panels were being installed more than 40 years ago, most homes required service of 40 to 50 volts. However, as more innovations have come up, this average has risen to 240 volts that is now the standard. This means that if you upgrade your service panel, you can now increase the number of outlets present in your house. Additionally, it can reduce your homeowner’s insurance bill because those who receive an upgrade stand a chance of getting a discount. 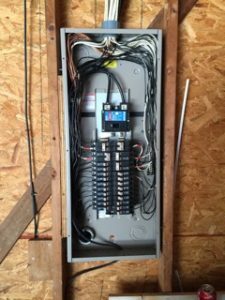 Need an electrical panel upgrade? Give us a call! 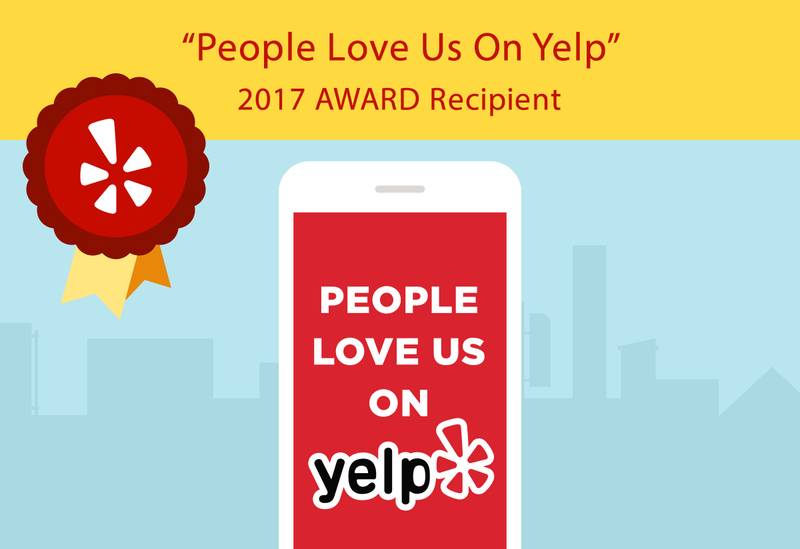 Thank You For Loving Us On Yelp! We’d like to take a minute to say “Thank You!” to all our AWESOME customers who have taken the time to review us on Yelp (or anywhere else). We strive to go above and beyond for each and every one of you. It’s so rewarding to know that all our hard work and effort is paying off where it really matters – in customer satisfaction. We will continue to work hard – our customers are our number one priority! We are truly grateful to have your support. Thank you all! Summer is a great time to enjoy the warmth from the sun. However, you should not forget to have most of your fixtures, fittings and appliances checked to repair problems generated during the colder seasons, enhance your comfort and prepare for the hot summer ahead. Below are some of the electrical appliances and fixtures that should be checked in summer. You will use your air conditioning more often during the summer season. To avoid the unpleasant experience when it breaks down during summer, have it checked before the weather gets really hot. Items to be checked include the refrigerant levels, the wiring system, the duct system and the thermostat. A good working air conditioner not only cools air effectively, but is also energy-efficient and safe to use. Due to the hot weather, the refrigerator will always be running during the entire summer season, so it’s important to know that it’s working correctly. Have the motor system, evaporator fan and the water inlet inspected for any faults. The increased use of the air conditioning and other cooling appliances during summer period may cause an overload in the circuit and put the house at a risk of fire. Some common signs that your electrical system isn’t working correctly include circuit breakers tripping, flickering lights, buzzing sounds from the outlets and switchplates that are warm to touch. Have a diagnostic check done on the power-distribution system and the wiring system to ensure that it is fault-free. Extreme cold during the winter months can damage pool and pump equipment; and heavy spring rains may erode the ground soil so much that some underground wiring surfaces on the ground. Check for frayed wiring, surfaced wiring and faulty bulbs. It is important that trees growing under power lines are kept short enough not to touch the lines. If the trees are tall, ensure that the branches near the lines are properly trimmed. Summer storms may cause the branches to fall on the lines. Have your electrical systems and fixtures checked and repaired by professional electrical service providers such as Aaron’s Electrical Services. Qualified electrical engineers have the tools and technical knowledge to detect and repair your faulty electrical systems.